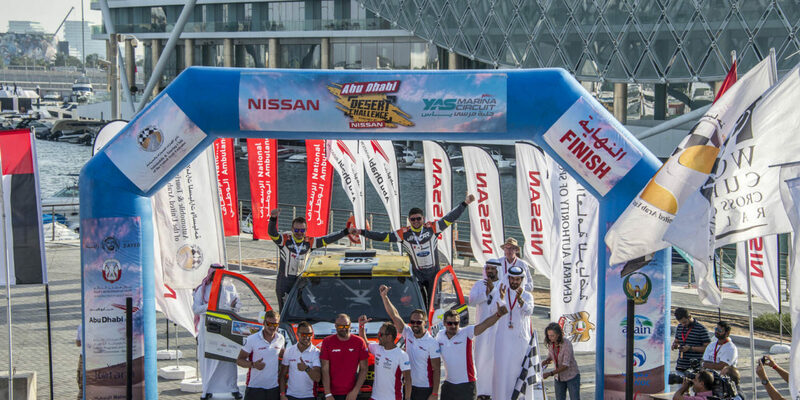 Abu Dhabi, UAE, 29 March, 2018: Czech driver Martin Prokop and Chilean rider Pablo Quintanilla completed their paths to victory in the Abu Dhabi Desert Challenge powered by Nissan today, avoiding any late dramas as the event reached its conclusion after five days of spectacular action. Prokop and co-driver David Pabiska, who started the final leg holding a 15 mins 20secs cars lead, were fourth fastest on the 218-km Abu Dhabi Aviation Stage and won by 13 mins 30.2 secs overall from Poland’s Jakub Przygonski with Belgian Tom Colsoul in a Mini John Cooper. Russia’s two-times Desert Challenge winners Vladimir Vasilyev and Konstantin Zhiltsov finished third, another 32 mins 59 secs behind in a Mini Cooper Countryman. 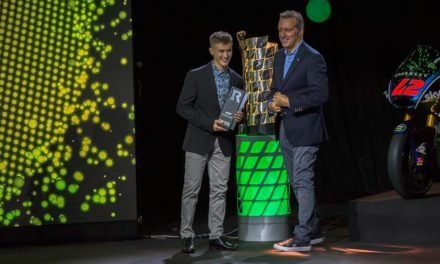 Final stage winner Cyril Despres took fourth place alongside Swiss Steve Ravussin in a Buggy Ford 2WD, while German Stephan Schott and Portuguese co-driver Paulo Fiuza in a Mini John Cooper and Saudi Arabia’s Khaled AlFeraihi and Osama Alsanad in Nissan Patrol Pick Up completed the top six. 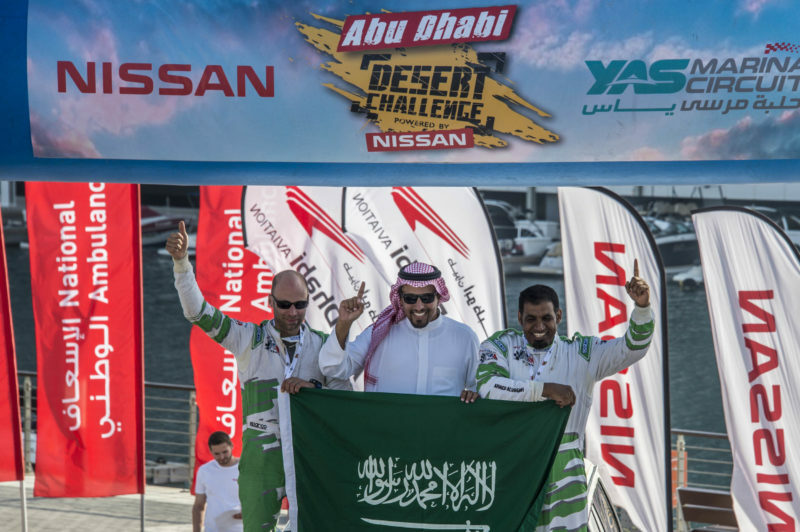 Another Saudi driver, Ahmed Al Shegawi, was among those celebrating at the finish, after taking his Nissan Patrol to victory in the T2 production cars category with French co-driver Laurent Lichtleuchter. They were joined on the finish ramp by Prince Khaled Al Faisal, President of the Motor Federation of Saudi Arabia. 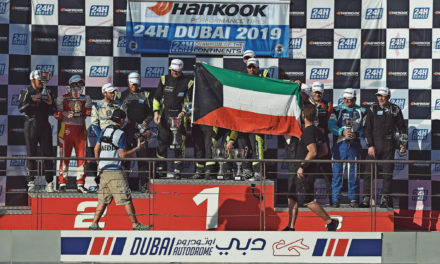 The UAE’s defending champion, Khalid Al Qassimi, fourth overnight, failed to reach the finish, retiring with French co-driver Xavier Panseri 21-km into the stage when his Peugeot Abu Dhabi Racing Team 3008 DKR developed mechanical problems. 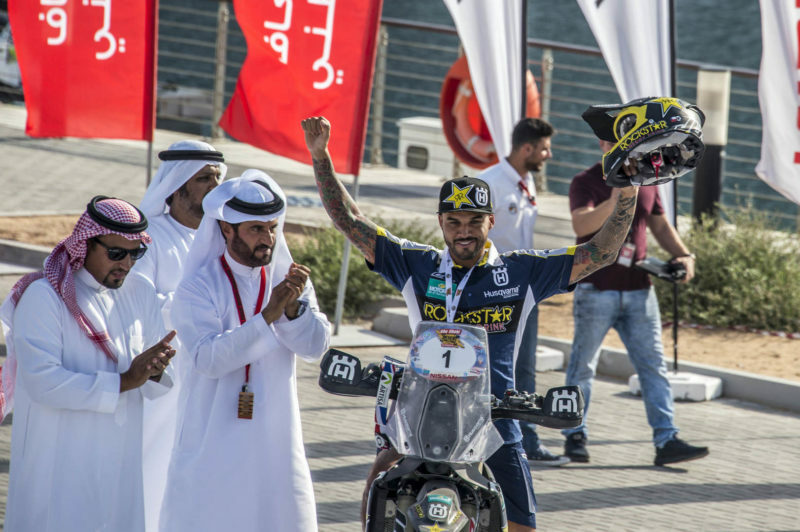 There were no problems for Husqvarna rider Quintanilla, who like Prokop captured his first Desert Challenge title, finishing fifth fastest on the day but winning overall by 5 mins 11 secs from defending champion, Dubai-based Sam Sunderland on a KTM. 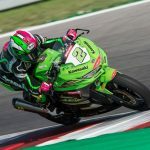 Argentinian Kevin Benavides finished third on a Honda another 3 mins 23 secs away. 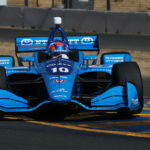 Dakar Rally champion Matthias Walkner from Austria won the Abu Dhabi Aviation Stage to take fourth place overall on a KTM while Honda riders Paulo Goncalves of Portugal, the 2014 winner, and American Ricky Brabec completed the top six. Spain’s Jose-Luis Pena Campo and Rafel Tornabell in a Polaris captured the buggies title while Dutchman Kees Koolen on his Barren Racer was crowned quads champion. Taking place under the patronage of H.H. Sheikh Hamdan bin Zayed Al Nahyan, the Ruler’s Representative in Al Dafrah Region, the Abu Dhabi Desert Challenge is forms the third round of the 2018 FIA World Cup for Cross Country Rallies for cars and buggies and the opening round of this year’s FIM Cross Country Rallies World Championship for bikes and quads. Kevin Benavides (ARG) / Honda CRF 450 16:59:45. Michael Metge (FRA) / Honda CRF 450 17:29:30.